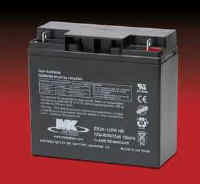 MK Battery offers valve regulated lead acid batteries for UPS/Standby power applications. All batteries for the UPS market include the following feature and benefits: Sealed Absorbed Technology: Completely sealed; valve regulated battery with efficient recombination. Telecom products are sold through our parent company, East Penn Manufacturing. Please contact them directly at 610-682-6361.